With an excellent magnification and a very clear and crisp view, the Nikon 16002 PROSTAFF 7S 8×42 Inches All-Terrain Binocular (Black) is one of the most popular binoculars on the market. This binocular is equipped with lots of technological features such as phase correction coated roof prisms, adjustable eye relief, turn-and–slide rubber eyecups, and fully multilayer coated eco-glass lenses. 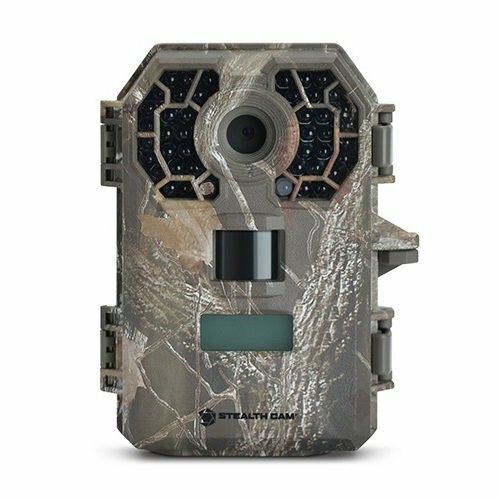 In addition to all these great features, the PROSTAFF 7S is also waterproof and fogproof. In this Nikon 16002 PROSTAFF 7S 8×42 Inches All-Terrain Binocular (Black) review, we shall take a look at the PROSTAFF 7S’s main features, its pros and cons as well as some frequently asked questions by customers. 1.9.1 Q. Who are the manufacturers of the PROSTAFF 7S 8×42? 1.9.2 Q. Does the product come with a warranty? 1.9.3 Q. What type of focusing system does it have? 1.9.4 Q. What is the magnification? 1.9.5 Q. What is the weight of the PROSTAFF 7S 8×42? 1.9.6 Q. Is it waterproof? 1.9.7 Q. What is the PROSTAFF 7S’ near focus limit? 1.9.8 Q. Can I use the binoculars while wearing my eye glasses? 1.9.9 Q. What type of prism binoculars is the PROSTAFF 7S? 1.9.10 Q. Does the product come with a carrying case? 1.9.11 Q. Does it come with a lens cover? The fully multi coated lenses that the binocular comes with provides bright clear images by maximizing light transmission and minimizing glare and reflection whereas the phase correction coated roof prisms help in keeping light in correct color phases. These two features come together to provide the user with excellent color and clarity. When using the PROSTAFF 7S, one does not need to worry about the binoculars being disturbed by water thanks to the O-Ring moisture sealer that the manufacturers incorporated into it. The O-Ring, which is one of the most ingenuous moisture seals ever developed, has the ability to prevent moisture from making its way into the unit and causing problems. In addition to protecting the binoculars from water, the O-ring also has the ability to prevent dust and other impurities from making their way inside the binoculars and damaging it. Away from the waterproof construction, another major highlight of the PROSTAFF 7S is its excellent fogproof ability that is made possible thanks to the fact that it is nitrogen filled. The nitrogen performs an excellent job in preventing the binoculars’ internal lens surfaces from becoming fogged up. The PROSTAFF 7S has a very good ergonomic body design which allows you to comfortably hold it for extended periods of time. The PROSTAFF 7S comes with a rubber-armored coating whose primary function is to protect the PROSTAFF 7S. As a result of the rubber-armored coating, the PROSTAFF 7S is capable of withstanding extreme use. For example, the rubber-armor has the ability to protect the binoculars from getting damaged in the event that it suddenly falls. The PROSTAFF 7S is built with turn-and-slide rubber eyecups, whose primary function is to give users the ability to easily adjust the eye-relief to suit his or her individual needs. This function is very important – especially for users who wear eye glasses since it allows them to use the binoculars without taking off their glasses. In addition to the turn-and-slide rubber eyecups providing the user with a custom fit, they also allow for maximum comfort and a very clear field of view. It is capable of delivering very sharp images. It is durable and can take extreme use. It has a non-slip grip, which is very important when using it in wet conditions. It is very fashionable and portable. Its long eye relief makes it possible to be used with eye glasses. It has both a waterproof and fogproof construction. The PROSTAFF 7S’ O-ring seal prevents dust and debris from entering into it. It comes with Nikon’s Lifetime Warranty. It does not come with a zoom feature. The lens caps do not attach very well to the strap. The eyepiece’s cap does not fit very well. Q. Who are the manufacturers of the PROSTAFF 7S 8×42? A. The PROSTAFF 7S 8×42 is manufactured by Nikon Vision Co., Ltd, which is a subsidiary of Nikon Corporation. A. Yes it does. This product, just like all binoculars from Nikon, is covered by Nikon’s famous Lifetime Warranty. This warranty basically means that if your PROSTAFF 7S 8×42 has any manufacturing-related problem or defect, Nikon will either repair or replace it for you at no charge. Q. What type of focusing system does it have? Q. What is the magnification? Q. What is the weight of the PROSTAFF 7S 8×42? A. It has total weight of 22.9 oz. A. Yes! Not only is it waterproof but it is also fogproof. Q. What is the PROSTAFF 7S’ near focus limit? A. The near focus limit of the PROSTAFF 7S is slightly over 13 ft.
Q. Can I use the binoculars while wearing my eye glasses? A. Yes! The PROSTAFF 7S is one of the best binoculars that can be used with eye glasses. Q. What type of prism binoculars is the PROSTAFF 7S? Q. Does the product come with a carrying case? A. Yes it does. In addition to a carrying case, it also comes with a nice carrying strap. Q. Does it come with a lens cover? The Nikon 16002 PROSTAFF 7S 8×42 Inches All-Terrain Binocular review above shows a whole lot of amazing features and specifications that can be quite difficult in similar binoculars on the market. It is no wonder the PROSTAFF 7S is one of the best rated binoculars on the market. In addition to all these great features that come with the PROSTAFF 7S, it is also environmentally friendly and comes with a lifetime warranty. Click the link to read the Top Hunting Binoculars with Buying Guide.